Editor’s Note: This article first appeared in the July 2016 edition of TTAC’s Heroes Against Cancer member newsletter. They say the eyes are the window to the soul, perhaps the truest reflection of one’s innermost feelings and emotions, speaking volumes even when words don’t. But the eyes aren’t the only facial feature with an alluring story to tell. The mouth is likewise telling in the area of physical health, serving a purpose much greater in scope than just putting a smile on your face or chewing your food. Hidden amidst that cascade of pearly whites is a complex, living organism made up of billions of tiny microbial cohabitors – a vibrant bacterial ecosystem amazingly similar to that of your gut. Modern science is finding that this ecosystem also communicates the state of one’s health. Not with words, though your mouth can obviously do that as well, but with an array of metabolic clues. The reason why I’m bringing all of this up is that the various elements of oral health that we’re about to discuss are directly linked to the health of the rest of the body. The health status of your oral cavity really is a reflection of the state of your body as a whole. If you know what to look for, it can reveal the presence of other underlying health conditions that need to be addressed – including cancer. It’s important to keep in mind that many common oral health problems like tooth decay aren’t normal. Neither are they just the expected outcomes of eating too much sugar and forgetting to brush your teeth – although these are obviously detrimental contributing factors. Dental caries (cavities) are often indicators of other imbalances in your system such as nutrient deficiency, for instance, or having an overly acidic internal terrain. 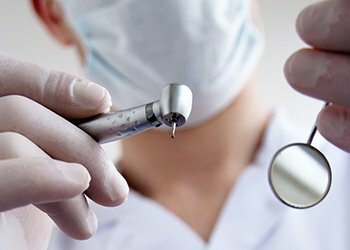 While getting cavities drilled and filled is now par for the course in modern dental care, this common procedure fails to address the root cause of why they formed in the first place. It can also damage key elements of the mouth’s communications system with the rest of the body, leading to problems down the road that can result in more serious procedures like crowns and root canals. Procedures that, as you’ll see, are largely unnecessary and often detrimental. The mouth is actually alive. It’s connected to our blood system. It’s connected to digestion, the actual core of the tooth. When we can get the body activated, then we can prevent cavities, because if we just put a filling on it, then we’re not actually addressing what caused the cavity in the first place. Before I delve into the pitfalls of conventional dental practice and offer alternatives to many of its failed approaches, I first want to explain a little bit more about the nature of the mouth and why oral ecology is so important to health. I touched on this a bit in the introduction, but our mouths are home to a diverse microbial civilization whose job it is to pre-digest our food, protect the integrity of our teeth and gums, and guard against pathogenic invaders. What, exactly, causes this imbalance? In many cases, overuse of antibiotics and other drug-based treatments that basically carpet-bomb the microbiome, leaving it vulnerable to failure and making your mouth vulnerable to disease and decay! 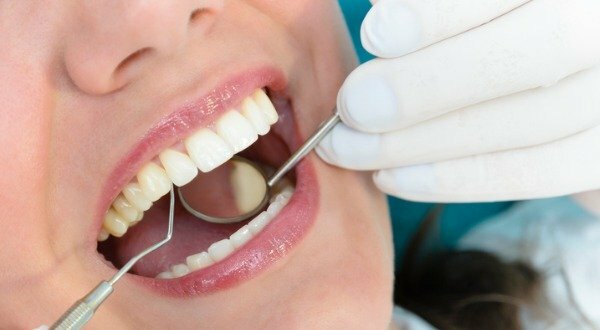 “The human oral cavity contains a number of different habitats, including the teeth, gingival sulcus, tongue, cheeks, hard and soft palates, and tonsils, which are colonized by bacteria,” explains a study on the human oral microbiome published in the Journal of Bacteriology, revealing how oral bacteria act as a sitting army to both protect and reinforce the mouth. So what can you do to protect the bacteria living in your mouth and support its proper function to avoid cavities and other oral health problems? It all starts with properly maintaining your dentinal lymph system – the detoxification and immune support mechanism through which your teeth get the nutrients they need from the digestive tract in order to continually remineralize, regenerate, and create new enamel. You may already be aware that your body contains a network of lymph nodes whose job it is to collect and eliminate toxins, as well as boost your immune system. Well, your teeth are part of this network as well. Every single tooth in your mouth, believe it or not, has its own individual lymphatic system that’s hardwired to your parotid glands. These parotid glands, which are activated by your hypothalamus, communicate with your stomach and intestinal tract where food is digested to obtain the nutrients your teeth need for strength and longevity. 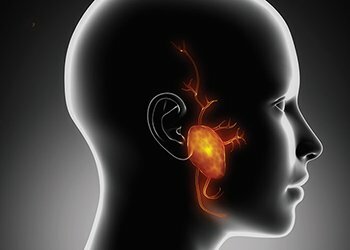 What prevents these parotid glands from functioning as they should is a lack of nutrients and poor microbiome ecology – both of which result, in large part, from a poor diet. When your teeth don’t get the nutrients they need, your mouth attempts to protect them by producing more saliva, but eventually this system fails. “When we’re eating a diet high in sugar, we’re having blood sugar spikes, or eating a low-fat diet devoid of fat-soluble vitamins of A, D3, and K2 and when we don’t have enough minerals in our diet, what happens is this lymph system stagnates or, even worse, it can actually reverse. This is how a cavity is formed,” Nadine Artemis of Living Libations explains. This, of course, is why consuming foods rich in bioavailable vitamins, trace minerals, enzymes, and other key nutrients is so critical. If you’re undernourished, your mouth and teeth are going to eventually pay the price! 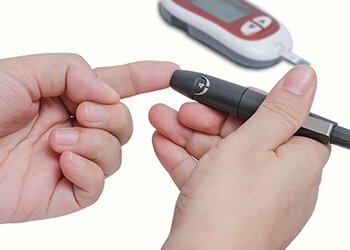 It’s also recommended that you try to keep your blood sugar levels at 80 mg/DL (4.4 mmol/L) or lower, both fasting and after a meal, if at all possible. Doing so will further help to protect your gut and mouth microbiome from harm. Each of these things can be beneficial if done right, but the problem is that many conventional approaches involve the use of chemical agents that work against the microbiome rather than for it. 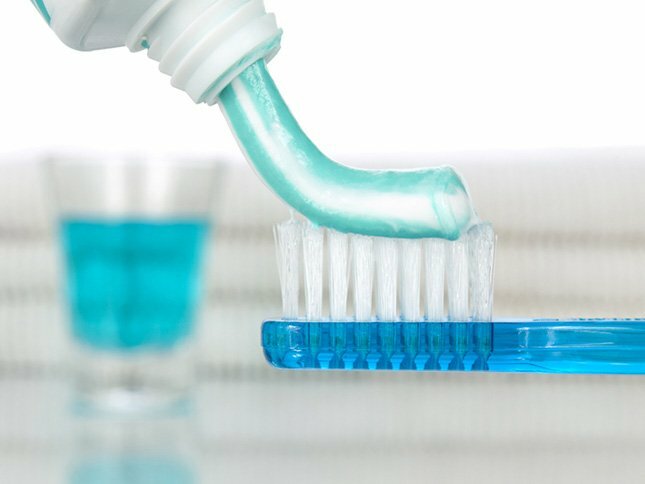 Many toothpaste products, for instance, contain chemicals such as fluoride and various antibacterial agents that disrupt the microbiome and leave teeth vulnerable to disease. Likewise, many dentists perform procedures that are detrimental to our long-term oral health. “Everything that’s going on with modern dentistry is about killing – this sort of periodontal scorched earth policy on the mouth’s microbiome,” Artemis warns. “You’ve got the really heavy duty mouth rinses, the toothpaste with triclosan and sodium lauryl sulfate, and all these chemicals. Keeping this all in mind, it’s obviously important to choose the right dental care products. When it comes to flossing, stick with varieties made from natural, biodegradable silk, natural waxes, and essential oils, avoiding those that contain artificial sweeteners and chemical antibacterial agents. The same goes for toothpastes – avoid all varieties that contain fluoride, which has been shown to degrade the gums, crumble bones, and interfere with collagen synthesis, as well as those that contain synthetic foaming agents and antibacterial chemicals like triclosan. Truth be told, all you really need in a good quality toothpaste is sodium bicarbonate or baking soda, a carrier oil like coconut or olive oil (if you want a traditional-type paste that’s smooth rather than chalky), some essential oils for flavor and natural antibacterial activity, and perhaps some hydrogen peroxide to aid in whitening. One basic recipe for making homemade toothpaste is to combine hydrogen peroxide (at 1% dilution) with baking soda in a 1:1 ratio. Food-grade hydrogen peroxide is preferable to the typical drug store variety, as it can be safely ingested in small amounts. Stir the solution and let it evaporate naturally, and you’ll be left with a dry powder that you can apply to your toothbrush and rub on your teeth to get rid of plaque, protect tooth enamel, and regenerate healthy gums – all while supporting your mouth’s microbiome instead of destroying it. You can also add other ingredients like thyme, tea tree, cinnamon, and peppermint essential oil both for flavor and added antibacterial and antiviral protection. Essential oils like these that possess natural antimicrobial properties are selective, meaning they won’t harm “good” bacteria in the process of getting rid of the “bad” kind. Nadine Artemis and her husband Ron are huge proponents of using essential oils to support oral health, which is why they developed their own toothpaste products like Frankincense Fresh Truth Toothpaste and Happy Gums Clay Toothpaste that contain essential oils in combination with other healing elements that promote oral health. Another important element of oral health is oxygenation, which stops harmful bacteria from breeding and spreading while getting rid of them and the toxic waste they produce in order to prevent infections. This is accomplished through the use of ozone, a regenerative substance that in addition to performing these maintenance functions also helps promote new cell growth in places where it’s needed – whether it be gum tissue, tooth enamel, or even a tooth itself. You can ozonate your mouth at home with products like Living Libations Ozonated Happy Gum Gel, which you can apply directly on your teeth or use as a toothpaste. You can even apply it to your floss! Ozone can also be injected into the mouth by qualified dentists, which is more applicable in cases where an individual already has oral health problems that need to be remedied rather than prevented. Dr. Martin Gallagher is an integrative medical specialist who utilizes what he calls “ozonotherapy,” an intravenous ozone therapy that involves injecting medical-grade oxygen (O3) directly into the bloodstream in order to target viruses, bacteria, fungi, yeast, and molds. As with essential oils, ozone therapy is selectively toxic, meaning it only goes after harmful microbes, leaving the healthy ones alone. One of the amazing things about essential oils is that they block a process known as “quorum sensing,” which is how pathogens in the mouth such as harmful bacteria communicate with other pathogens throughout the rest of the body to “strategize” a plan of attack. Essential oils like those of frankincense, oregano, neem, clove, cinnamon, tea tree, and cardamom – the “classics” long used in traditional dental care – not only block quorum sensing, but they also penetrate and destroy “biofilms” in the mouth where pathogens live. Even better is the fact that essential oils only target the damaging bacteria, while preserving the beneficial ones that safeguard the integrity of teeth and gums. You’ll find essential oils in many so-called “remineralization” pastes that help strengthen teeth and reinforce their defenses against pathogens. Additional support for your mouth’s microbiome can be found in liquid “tooth serums” that contain essential oils and other botanical biotics. Living Libations sells a Yogi Tooth Serum that contains essential oils known to support immunity and fight pathogens, as well as a special resin known as “mastic” that helps remove tooth plaque and support connective tissue within the oral cavity. Keeping your teeth clean and cavity-free using these methods is like washing your car regularly, but what about that shiny coat of wax? 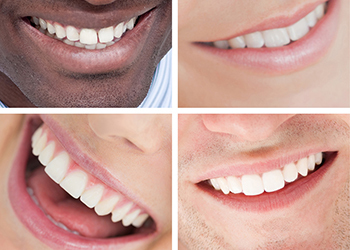 Surely you want to show off those pearly whites in their Sunday best, and you can do so by using natural substances like food-grade diatomaceous earth (a type of magnetic clay); activated charcoal; and a healthful fat like concentrated medium-chain triglyceride (MCT) oil, derived from coconut and palm kernels. 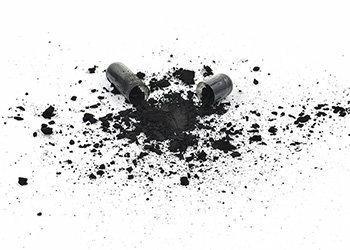 Combining either the diatomaceous earth or the activated charcoal (or a mixture of both) with a little bit of MCT oil works like a tooth polish – just apply a bit to your toothbrush, swirl it around on your teeth like you would a wax sponge, and be amazed at the results. This is a safe, non-toxic way to promote whiter, healthier teeth without the use of harsh chemicals. An excellent MCT product is Bulletproof’s Brain Octane Oil, which is 16 times more concentrated with MCTs than coconut oil, containing the most ketogenic (meaning it tells the body to burn fats for fuel rather than carbohydrates) type of MCT, known as C8. Brain Octane Oil, by the way, is an excellent dietary supplement to take for increased energy and fat loss. Perhaps you’re thinking to yourself: sure, these prevention and maintenance tips are great for people who don’t already have dental problems, but how do I deal with more advanced tooth decay? Or what if my dentist is advising me to get a serious procedure like a root canal, claiming that this is the only way to prevent further damage from occurring? My advice to you is the same as it would be to a cancer patient being pressured into getting chemotherapy and radiation treatments – just stop for a minute, take a deep breath, and consider all your options. As I mentioned earlier, many of the prevention and maintenance techniques I’ve outlined actually do help in addressing even the most serious dental issues, especially when administered under the guidance of a qualified holistic dentist. Many people don’t realize this, but procedures like fillings and root canals don’t fix the underlying issues that caused them in the first place. Root canals are especially problematic because dentists can’t properly sterilize the tooth in which they are performed, which means likely infections later on down the road – and truth be told, most people don’t even need a root canal in the first place! Dr. Stuart Nunnally, a holistic dentist from Texas, conducted the world’s first independent lab study on root canals and found that nearly all teeth with root canals end up developing some kind of pathology. He warns that these are mostly necrotic bacterial infections, containing pathogens as extreme as those that cause syphilis, Lyme disease, and even leprosy. Root canals have even been linked to breast cancer. Up to 93% of women diagnosed with breast cancer also have one or more root canals on the same side as their cancer, according to research conducted by Dr. Robert Jones. Dr. Josef Issels, a German physician, came to similar conclusions about root canals. Upwards of 97% of the “terminal” cancer patients he treated throughout his 40-year career had previously had root canals. Teeth that are candidates for root canals should instead be extracted using safer means, which often means properly removing the periodontal ligament. If the periodontal ligament isn’t properly removed, then 10-20 years down the road it could result in a jaw cavitation, a situation in which the jawbone begins to rot – nobody wants this, of course! Another option is Platelet-Rich Plasma (PRP) Therapy, a stem cell regrowth procedure that involves injecting a patient’s own blood plasma into a root canal, receding gum, or shoe (a restorative covering placed over a damaged tooth cusp), which initiates a six-month-long natural healing process that minimizes the risk of bacterial infection. Composite fillings are questionable because they may contain plastic-based ingredients like bisphenol-A (BPA) that interfere with hormones and are linked to causing cancer. 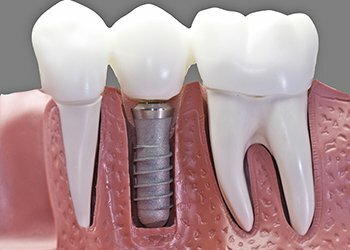 So-called “safe” metal fillings and implants such as titanium often contain other metals in trace amounts. For instance, if a supposedly isolated metal compound like titanium contains less than 2% of another metal such as nickel (a highly toxic, carcinogenic heavy metal), it can still be called “pure” titanium and end up in your mouth. The well-respected Dr. Hal Huggins, founder of the Hal Huggins Institute, calls heavy metals “the marriage of microbes and metals,” because microbes love to feed on these metals. This is a nightmare for your teeth and body, which is why many holistic dentists now use zirconium or ceramic if they absolutely must give a patient a filling. Just remember as a rule of thumb… anything but metal, and absolutely no mercury. 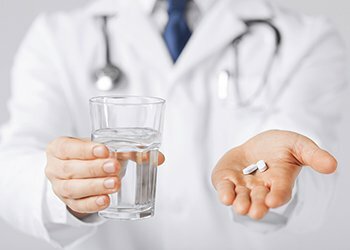 If your oral health situation requires intervention beyond what you feel comfortable addressing on your own using the information here, my recommendation is to take the time to choose a qualified holistic dentist (aka a “biological” or “environmental” dentist) trained in applying these and other methods in a clinical setting. 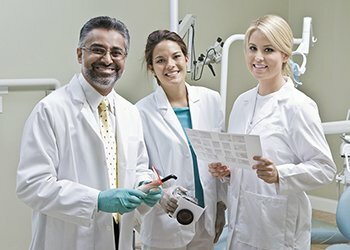 Search for accredited members of the International Academy of Oral Medicine and Toxicology (https://iaomt.org/) or the International Academy of Biological Dentistry and Medicine (https://iabdm.org/location/). You can also view the profiles of dentists and learn of the services provided in the international online directory of the Holistic Dental Association (http://holisticdental.org). Cavities may indicate imbalances in your system such as nutrient deficiency. Overuse of antibiotics leave the microbiome vulnerable to failure and your mouth vulnerable to disease. It’s critical to consume foods rich in bioavailable vitamins, trace minerals, enzymes, and other key nutrients. Proper nutrition protects both your mouth and gut against disease. Avoid toothpaste that contains fluoride. Nearly all teeth with root canals end up developing some kind of pathology. As a rule of thumb for your teeth, avoid anything metal, and absolutely no mercury. I didn’t find your response to Anne’s question concerning healthy cat food. I’ve got 3 and I lost one to cancer. Dr. Karen Becker has food suggestions on Facebook. It’s called the Truth about Cancer for Pets. I am interested in dog food. I had a German shepherd who died of a cancerous tumor from its shoulder, linked to the vaccines that he was given? I now have a smaller, mixed-breed and would like to have something for her as a kibble. She will eat dark meat chicken and beef, but is very particular about other things. No fish, no eggs, no peas, a few vegetables. For pets (cats and dogs, as well all the other pets too..) its always best to look for a biologically appropriate diet. We have 12 raw fed cats, and they are extremely vital and joyful creatures.